at the Marie Poussepin Center for Comprehensive Formation. During ten months the 64 young women from 24 villages of Guaimaca will come from Monday through Friday to the CMP, where they not only receive the academic formation corresponding to Junior and Senior High School, but also formation in Catholic values, responsibility, honesty, respect and several technical courses to help them develop their gifts. by the ones who now are in the second year. this school year at the Marie Poussepin Center! 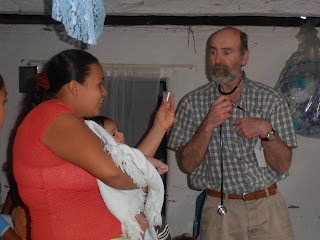 This week of February 3-10 has been very special for the mission at the Clinic. to respond to the many healthcare needs of the poor of Guaimaca. Sr. María Ceballos has been coordinating these efforts during the week. Sr. Gloribel Mendoza has been overjoyed to have some efficient help at the pharmacy. 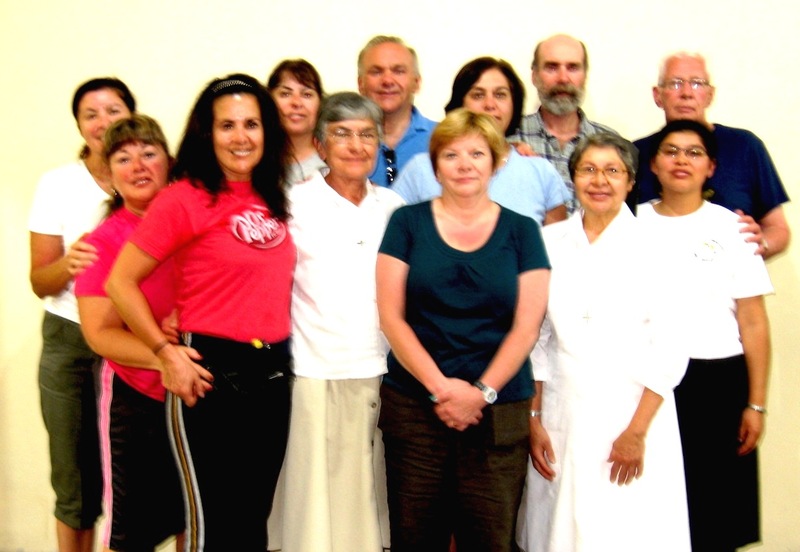 Both Sr. María and Sr. Olga Diaz have been helping out with the necessary translations. the Stonehill volunteers have also assisted with translations during the weekend. 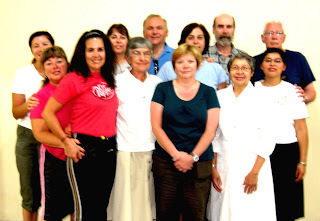 The St. Anne's group in Guaimaca has been an outstanding team during the week, not only at the Clinic, but also in some villages where they have been with Fr. Craig Pregana taking advantage of the gathering of people for the Eucharistic celebration. The team has also made several home visits to assist very sick people. We the sisters, have been able to see in them people who live the spirituality and the care offered at St. Anne's. It is a joy for us to see how they have embodied through the years the healing ministry of Jesus Christ lived at the Hospital. This is a living proof of how the Charism of Marie Poussepin is carried on both by the Sisters and the lay people associated with us!